At 1km from El Bosqueró / El Mirador – 10% Off. If you want to fly like a bird, you have the opportunity to do it with a 10% discount for being our guests. 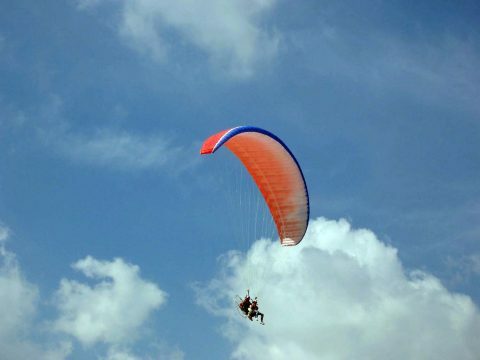 Paragliding is an excellent experience for everyone. No special physical condition is necessary and is ideal for people with reduced mobility. During the flight, the passenger will experience new sensations where adrenaline is mixed with pleasure, tranquility and the freedom to fly. The view of the landscape of the Valley of Hostoles and Cogolls will accompany us at our feet; we will enjoy the Garrotxa, the volcanic area par excellence and its landscapes. For those who love photography and video, there is a great opportunity to take spectacular pics using your own equipment or with the company’s Go-Pro. Les Planes d’Hostoles is known for its natural pools. “Itinerànnia” is a network of 2,500 km trails between the counties of Ripollès, Garrotxa and Alt Empordà. Walk while “tasting” the territory is the goal of this magnificent network of roads. Check the “itinerannia” website for more information about the hundreds of available routes! 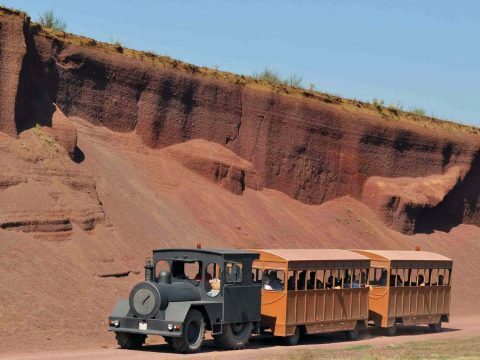 With“The Carrilet”, a reproduction of the old train that went from Olot to Girona, we will go back in time and travel calmly through four volcanos like it was done in old times. We will enjoy a panoramic view of the Martinyà volcano, the Pomareda, the Torn and el Croscat volcanoes. Shortly after the Croscat, a stop is made where the guide will give more information about its history and characteristics. Furthermore, during the journey, more information about the area is given in different languages. The visit can be done every day and at any time of the year. 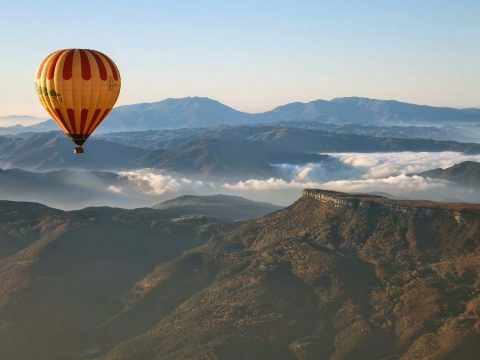 Since 1992, hot air balloon flights through the Natural Park of the La Garrotxa Volcanic Zone have been offered. Daily departures throughout the year. Balloon rides start early in the morning. The duration of the trip is usually between 1h and 1h 30 minutes approximately. It includes a glass of cava and cake of pork rinds (“coca de llardons”) during the flight and a peasant brunch when landing; bread with cold cuts and beans from Santa Pau with “butifarra”, the Catalan blood pork sausage. The balloons have baskets with doors making the access easy for older people. A unique experience in an exceptional environment! 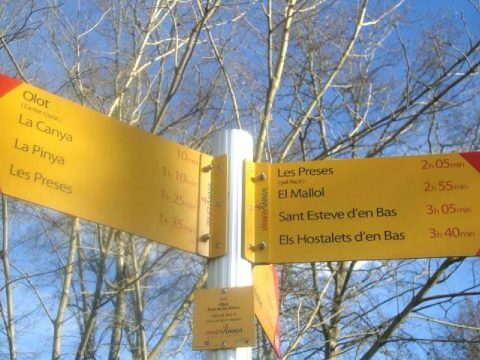 With direct access from the “El Bosqueró” farm, 700m away, there is this well-known bike-lane that runs between Olot and Girona, called “the Carrilet Route”. 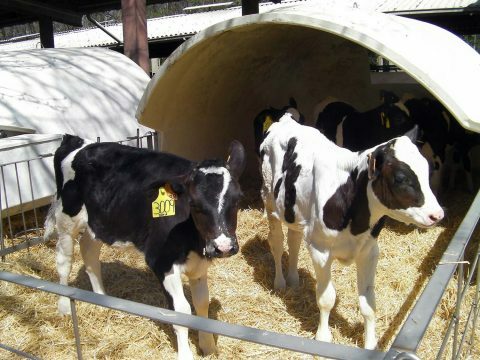 It is of very low difficulty, ideal for the whole family and all the ages. This 57Km-long route crosses three regions and twelve towns and crosses the valleys of the Fluvià, Brugent and Ter rivers. The Route of the Carrilet Olot-Girona has a gentle slope from Olot (440 m) to Girona (70 m) and its highest point is located in the Coll de Bas, at 558 m above sea level. The route, suitable for pedestrians and bicycles, is in very good condition, conditioned with new bridges, railings and signage. The Carrilet Route crosses landscapes of great scenic, ecological and cultural importance. It begins in the Volcanic Zone of La Garrotxa and, always following the route of the old narrow gauge train, it reaches the Ter valley and the “dehesas” of Salt and Girona. 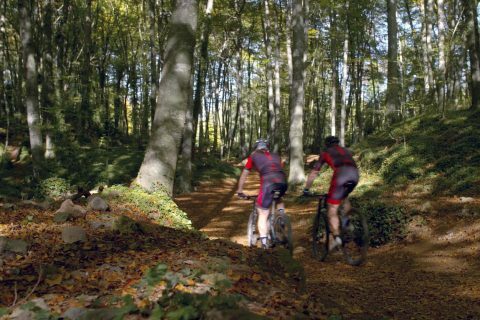 The road that once linked the Garrotxa and the Gironès allows you to know the natural resources of the Volcanic Zone of La Garrotxa, the castle of Hostoles and the urban centers of Anglès, Sant Feliu de Pallerols and Girona, among others. Spaces such as the “dehesas” of Salt or Girona are also integrated into this route, which runs close to the Ter in its last stretch and allows us to observe the uses that have been made of the river’s hydraulic resources. We have an agreement with a bicycle rental company to offer you a more flexible and comfortable service, with delivery and pick up at the farm, if requested. The prices approx. are: 17 € (1 day) / 27 € (2 days) / 32 € (3 days). Please, request the reservation of the bicycles as son as possible to guarantee their availability. MAGMA presents a new concept of leisure thermalism. 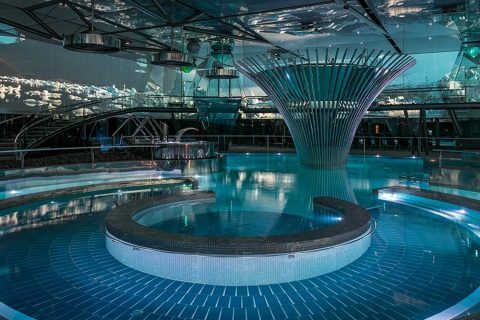 A totally sensory experience where new technologies and thermal waters come together to create spaces and emotions where the imagination has no limits. After the sunset, a large format projection on a 130-meter long screen, unique in Europe, invites us to travel to the most magical and unknown corners of Iceland. The thermal-mineromedicinal waters, declared of public utility in 1889, rich in bicarbonates, sodium, fluoride and silica, emerge naturally from the springs of the Spa Termes Orion at 42ºC. Special prices for the Bosqueró / El Mirador customers. Live a fantastic experience in a dreamy Volcanic environment. This is a “travel experience” of an hour and a half duration designed for the most daring and eager to have fun. We will cross rivers, trunks, climb vertigo slopes and descend stairs. A combination of adventure and nature that will make you release the adrenaline accumulated throughout the week. 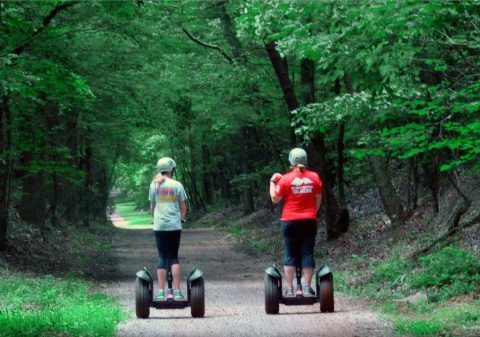 Test your skill and discover how far you can go with a segway in your hands.